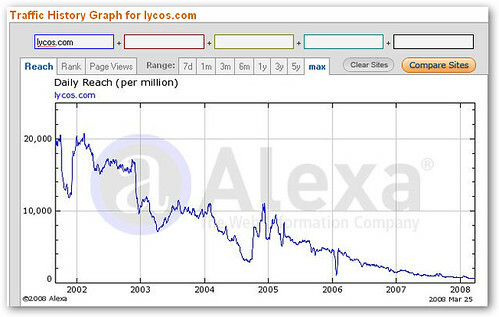 Lycos has been in a long and slow decline for many years now with nothing in particular to draw in new users (they've even outsourced their search to Microsoft). But Lycos Cinema might give some of you a reason to go back. Lycos Cinema has a wide range to movies and television shows that you can watch on-demand for free. If you don't expect the latest Hollywood blockbusters, then you won't be too disappointed with the offerings, which are mostly decades-old classic movies like "The Phantom of the Opera" and "The Hunchback of Notre Dame." The experience that Lycos is trying to evoke is that of a movie theater so the site lets you schedule screenings of movies with your friends and watch together at a set time. You can also chat with your friends while watching movies.